I’m the first one to tell you that I neglect to take care of my hair. I’m all about skincare and trying out new beauty trends, but for some reason – my hair always takes the backburner. I have a big head of hair, so any treatment I use takes up a lot of time that I just can’t seem to devote to. Some of you don’t know this, but my very first job was as a receptionist at a hair salon for about 3 years. I learned the ins and outs of the business, and learned just how important hair maintenance was. I was told to regularly treat it with a glaze, condition it with a mask, stay away from heat, avoid using too much product… yet use “this” product and “that” product. It was exhausting to keep up with it all. Fast forward to today, I’ve learned that I need to just be smart about what everyday products I use. 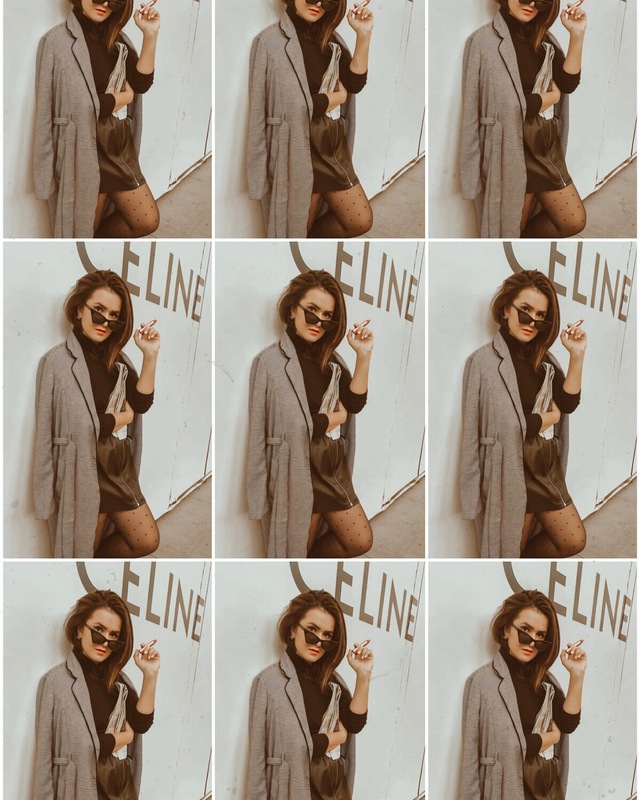 I use the bare minimum – shampoo, conditioner, and a heat protectant that doubles up as a styling/anti-frizz cream. That’s about it, so I’m really selective about these few products that I use. 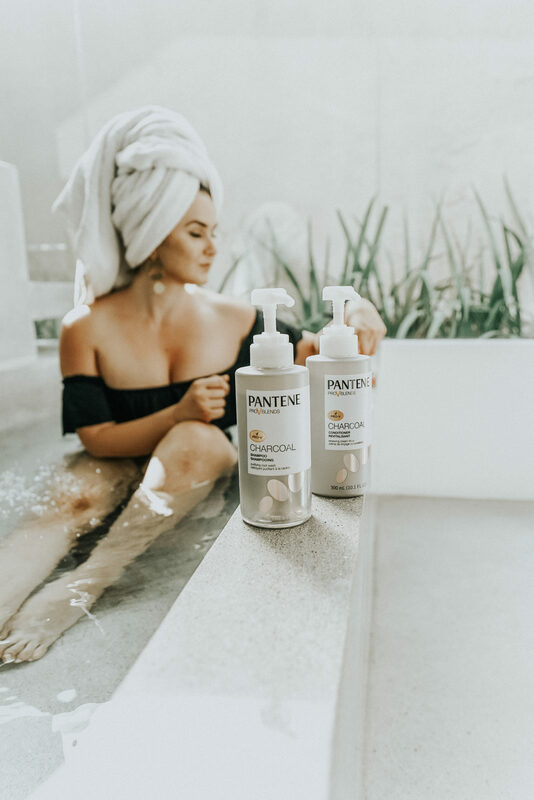 When it comes to the foundation of my hair, I’ve learned that I need a shampoo that purifies yet resets the balance of my hair for extra volume and protection. For conditioner, I always opt for a silicone-free option that renews my hair and gives it plenty of shine. Now here’s the kicker. I found out that activated charcoal does just that. It purifies and resets the balance by gently absorbing impurities. 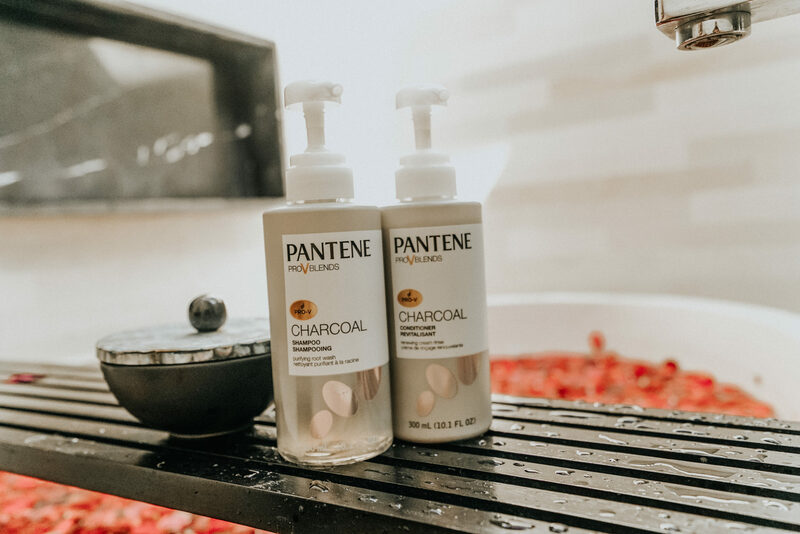 I’ve always used activated charcoal products to whiten my teeth and incorporate into my skincare routine – but I’ve never considered it for my hair until I started to use Pantene’s new Charcoal Collection. The activated charcoal is a purifying ingredient that detoxes your hair, it removes product, scalp oils and other build-up by attracting impurities, like a magnet, while at the same time releasing antioxidants. It leaves my hair feeling squeaky clean, soft, and it gives it plenty of shine so I don’t have to worry about devoting extra time to upkeep my hair. 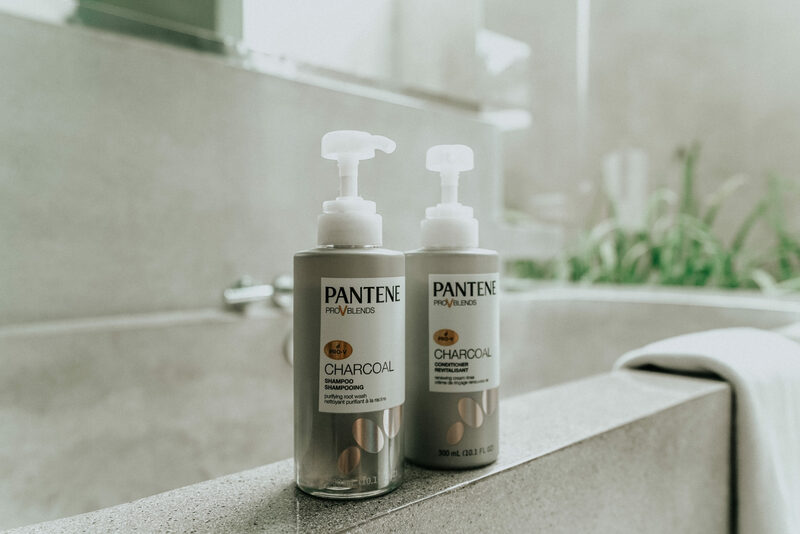 You can snag Pantene’s new Shampoo and Conditioner at a Target near you. As an added bonus, if you purchase two Charcoal Collection products, you receive a $5 Target gift card!